Eugene Gustafson, age 95, of Aurora, passed away Saturday, December 30, 2017, at Memorial Community Care in Aurora. Funeral Services will be held 11:00 A.M., Monday, January 8th at the Monroe Evangelical Free Church north of Murphy. Pastor Doug Willey will officiate. Interment will be in the Monroe Cemetery. Visitation will be from 5 - 7 P.M. Sunday at Monroe Evangelical Free Church. Memorials may be made to Monroe Evangelical Free Church or World Gospel Mission for Kaboson Pastors Training College guesthouse project. Condolences may be e-mailed to the family through the mortuary website at www.higbymortuary.com. T. Eugene Gustafson, the son of Walter Benjamin and Myrtle (Pearson) Gustafson, was born in Phelps County, Nebraska on June 2, 1922 and passed away in Aurora, Nebraska on December 30, 2017, at the age of 95. Gene grew up in Hamilton County attending District 59 grade school and graduating from Phillips High School in 1939. A progressive-minded farmer all his life, he was named Outstanding Young Farmer of Hamilton County in 1958. He continued farming until his retirement. Gene came to know Christ at an early age and his faith grew as he was involved in church and at Polk Bible Camp as a young adult. It was at Polk Bible Camp that he and Rachel developed their romance that led to 64 years of marriage. Eugene was united in marriage to Rachel Rowena Hendricks on August 19, 1946 at the Holcomb Evangelical Free Church near Holdrege. Rachel (Rae) passed away on February 12, 2011. Eugene was a member of the Production Credit Association Board; Phillips School Board; Aurora Co-op Board; Regional Bank for Co-operatives Board; Regional Farm Credit Board; National Farmland Industries Board. He held various roles in his church, the Monroe Evangelical Free Church, including the Midwest District Board. Gene was a devoted husband to Rae, and he was enthusiastically involved in the lives of his children, grandchildren and great-grandchildren. He loved playing golf into his nineties and developed many friendships through the sport. Gene also loved carving in his retirement and was known for his sandhill cranes. Although Gene lived all his life in Hamilton County, his vision was world-wide. He and Rae traveled extensively and prayed for and supported people serving the Lord around the world. 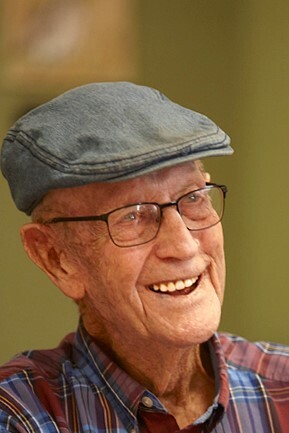 He was preceded in death by his parents; wife, Rae; brother, Stanley and sister-in-law, Marian Gustafson; sister, Anna Gustafson; and brother-in-law, Norm Holmberg. Those left to cherish his memory are his six children, Sue (Angus) McDonald of Omaha, Steve (Marilyn) Gustafson of Aurora, Leanne (Steve) Morris of Grand Island, Linda (John) Spriegel of Kenya and Michigan, Jill (Dean) Carlson of Omaha and Andrew (Celeste) Gustafson of Omaha; 16 grandchildren; 23 great-grandchildren; sister, Delores (Rodney) Wendell of Axtell and sister-in-law, Pat Holmberg of Aurora.